Just as other areas in Spartanburg began to develop when the railroad was built around 1870s, a little town began to emerge to what is now known as Inman. Though the question about how Inman got its name is still unclear, there are theories that say the town gotten its name after John Inman, a headman of a survey team who was well liked in town, another theory is that the community was named for Samuel Inman, a railroad official. Indeed, like the rest of Spartanburg, textile mills were established in the area from late 1800s to early 1900s which strengthens the economy in the period. Inman continued to grow and was incorporated as a town in 1882. The city of Inman is located in Spartanburg County, South Carolina. It’s a small thriving city with close proximity to the Spartanburg-Greenville-Asheville metroplex. The city is conveniently located to I-85 that gives access to big metropolitan cities like Charlotte and Atlanta. Inman is also convenient to I-26 making Asheville in the north and Columbia in the south few hours drive away. Beginning with the pedestrian-friendly serene downtown that still accentuate the historical elements, streetlamps, and sidewalks, greater Inman features an assortment of fine shops, specialty stores, pharmacies, gift shops, restaurants, medical offices, large food market chains, and other businesses. The most common industries in Inman include retail trade and manufacturing. The city is continually promoting commercial growth in the area. Its location makes it an ideal place for development. The city is near the foothills of North Carolina’s mountains, has easy access to two major interstates, I-26 and I-85, close to Lake Cooley and Lake Bowen; and conveniently near Greenville-Spartanburg International Airport and the Inland Port. 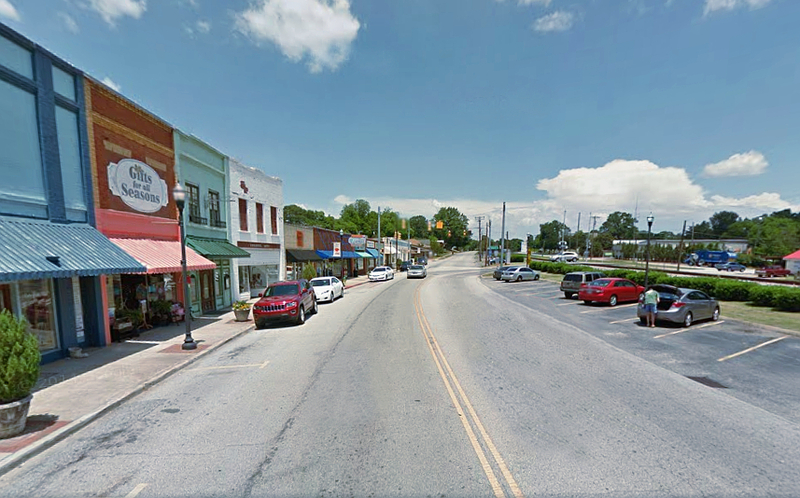 The city of Inman, South Carolina is a small community set amongst the rolling hills of Spartanburg County with a population of under 3,000. Inman real estate is a great place to raise a family, with great schools, and excellent activities for all. North of Inman just 4 miles you’ll find the Lake Bowen which is a great place for fishing and other water recreational activities. Besides driving through the countryside, one can golf, hike, swim, fish, and bike. If you are looking for a great country place to raise a family or just for the quiet life then Inman might be for you! Inman SC real estate is located 13 miles northwest of Spartanburg, about 20 minute drive and northeast of Greenville, about 33 miles. Inman SC real estate is seeing new homes in recent years. Homes in Inman SC are minutes from Spartanburg real estate, the largest city in Spartanburg County. Residents enjoy the lake recreation, affordable real estate, and a small-town atmosphere. Undoubtedly, the mild climate, location, and close-knit community make this small town a good choice for retirees and families looking to relocate. There are plenty of choices to consider when relocating or buying a home in Inman, buyers can choose from single family homes to new constructions homes. Homes in Inman are reasonably priced from the low $100,000s to the high $300,000s. Luxury homes are also available and are priced up to a million. The average real estate price range in Inman is around $131,450. Inman, SC is home to some of the most highly rated public schools in Spartanburg County School Districts. Public schools in Inman belong to Spartanburg School District 1 or Spartanburg School District 2.